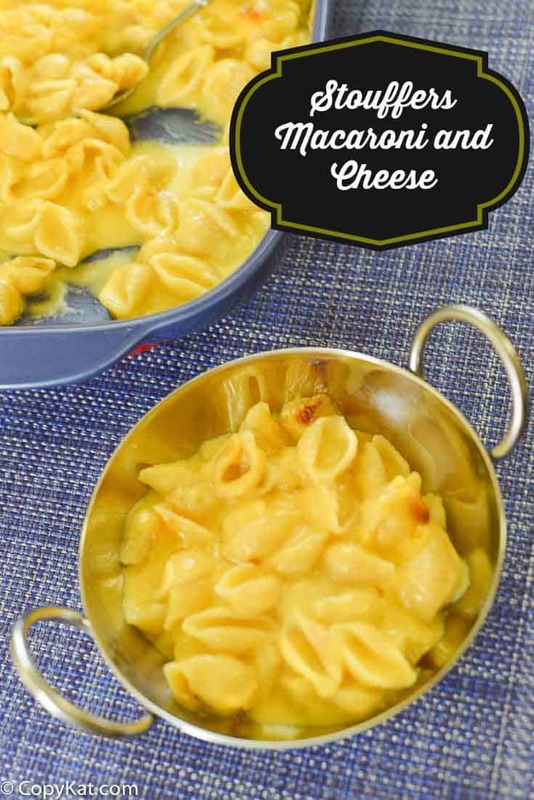 Stouffers Macaroni and Cheese recipe has always been a favorite of mine. I have long wanted to put together a recipe for this classic dish just for you. This copycat Stouffers Macaroni Cheese recipe is made completely from scratch. I know a lot of people want to cut out preservatives and they still want to enjoy their favorite flavors. This recipe uses a couple of types of cheese and has a wonderful cheese flavor. This casserole then gets baked in the oven and the top can get the wonderful browned bits on top. I know now this dish typically gets microwaved when you buy the frozen package, but when I was growing up, we cooked this one in the oven. It is because of this dish I have always loved a good baked macaroni and cheese recipe. 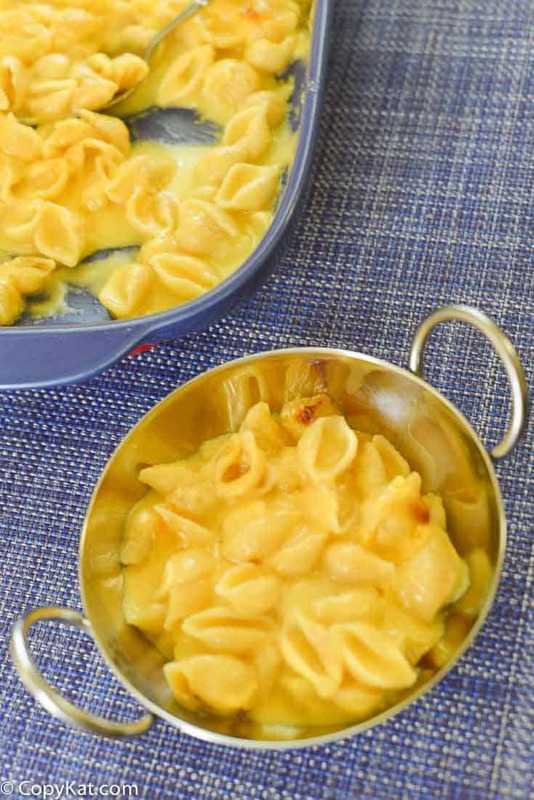 This recipe for macaroni and cheese is a basic recipe that starts with a cheese sauce that has two types of cheese in it for rich cheese flavor. I think by using two types of cheese you get a better cheese flavor, as it has more depth. My recipe for the Longhorn Steakhouse Macaroni and Cheese, features four different types of cheese which are wonderful for a once in a while treat. This recipe is simple, and perfect for every day. While we normally use elbow pasta for this recipe, you could use other shapes of pasta if you desire. Sometimes I like to use shells, wheel shaped pasta, or another type of pasta. While the original recipe always uses the elbows you can feel free to substitute what you have around the kitchen. Recreate the browned cheesy baked Stouffers Macaroni and Cheese when you make this recipe. Preheat oven to 350 degrees. Boil 8 ounces of elbow pasta according to package directions. In a medium-size pot over medium heat add butter and flour. Stir continuously while for about 1 minute. The flour paste should become fragrant. Slowly add milk in thirds and stir until it has thickened before adding the next portion of milk. Shred cheese and slowly add the cheese to the milk mixture. Make sure all cheese melts completely before adding the next portion of cheese. Add dry mustard powder and paprika and stir well. Drain pasta. Stir pasta into cheese sauce. Place pasta into a large 2 quart baking dish. Bake for approximately 20 minutes. If desired turn oven to broil, and allow the casserole to brown a moment or two before serving. Thank you Stephanie ! In your opinion, would you make this scratch recipe or purchase Stouffer’s Mac ‘Cheese to feed approx 34 people….. Which would be more economical?? I know scratch is better…. This came out good but not creamy how can I fix that? Lori, I would normally agree with you. If you salt the pasta water properly I think it comes out well seasoned. I thought in developing the recipe the cheese that I used was a bit naturally salty and offered its own salt. Therefore I didn’t use it. The butter in the recipe was also salted. Believe me, I am normally a salt fiend!